Just in time for the holidays, we have added a new collection of Rustic Frames! 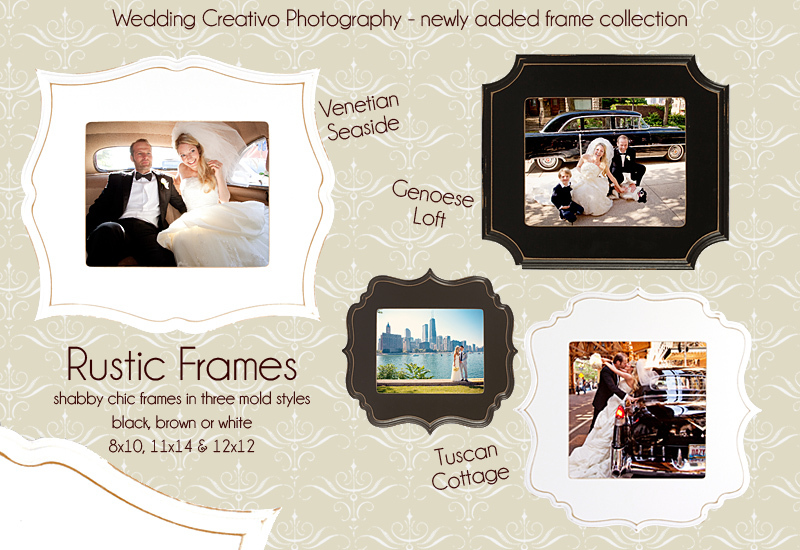 See all of our current framing options here. Did you know we have an entire separate website dedicated to all of our products and custom services such as photo cards, albums, canvas and framed prints? Yes, see sample photos and descriptions at Creativo Couture. Were you not a wedding or portrait client of ours (meaning, we were not your photographer) or do you have a personal or vintage family photo you want to work with? No problem, we offer custom services to anyone, just send us an email to find out more about what we can do for you.